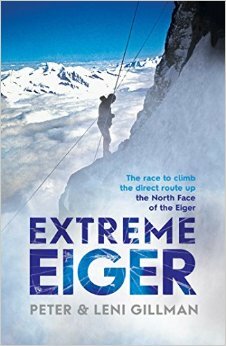 A book that’s easy to read about a climb that’s hard to imagine: the north face of the Eiger by the direttissima, the most direct route. That first attempt in 1966 was like taking the Ogre by his throat and daring him to bite. For John Harlin, the “blond Greek god” who led the English-speaking half of the climb, the dare didn’t come off. He died when a rope snapped and he fell hundreds of feet to his death. For the other climbers, the tragedy either strengthened or shattered their resolve. Harlin’s team had consisted of Layton Kor, a fellow American, and the Scot Dougal Haston. Kor abandoned the climb; Haston joined forces with the larger German team also making the attempt. He made it to the top, but he too could easily have died. In mountaineering, skill is no guarantee of survival. Nothing is a guarantee: you need luck when you pit yourself against stone, snow and ice. Haston’s luck ran out in 1977, when he was killed by an avalanche while skiing. Peter Gilman covered the climb in 1966 for the Daily Telegraph, but has re-interviewed the surviving members of both teams for this re-assessment of one of the most famous stories in mountaineering. Harlin is still a controversial figure. “Complex” is one way of summing him up. He was a poseur and fantasist, but he could inspire love, loyalty and respect too. Not in Don Whillans, though. The Mancunian maestro thought Harlin was a bullshitter. Whillans also had a complex personality. Alcoholics often do. He doesn’t play much part in this book, but as one of the great figures of post-war mountaineering it’s appropriate that he appears. The war itself has an important part, because it was one of the obstacles that the German team had to overcome. Men like Peter Haag, Jörg Lehne and Günther Strobel were too young to have fought in the war, but they all experienced the poverty that followed Germany’s defeat. Mountaineering was not the cheapest or safest sport and by the time they set out to challenge the Eiger they had all proved their dedication and determination. And while they were the bigger team, they also had the poorer equipment. Not that anyone in 1966 had good equipment by today’s standards: “The climbing equipment historians Mike Parsons and Mary Rose offered a startling metaphor for the comparison between the two eras: it was as if the 1966 climbers were in a ‘bare-knuckle fight’.” (ch. 8, “The Opposition Has Started”, pg. 154) Clothing got wet and didn’t dry; ice axes and boots were primitive; ropes frayed and broke. The direttissima still isn’t easy, but it was a lot harder in 1966. There is much more than mountaineering in this book: it’s about a confrontation not just between men and mountain, but between different cultures, nationalities and personalities. And it follows the climbers not just up the Eiger, but into the rest of their lives, which were sometimes cut short. Like bikers and drug-addicts, mountaineers tend to know a lot of people who died young. Life itself is like climbing a mountain and we all fall off in the end. Mountaineers risk falling off sooner than most, but they play with high stakes for great rewards. 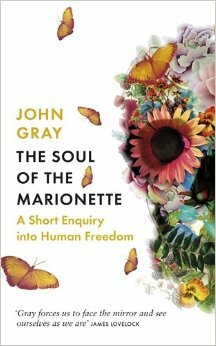 This is a book about extraordinary men, extraordinary experiences and an extraordinary achievement. If you want to understand mountains and the men who challenge them, it’s an excellent place to start. 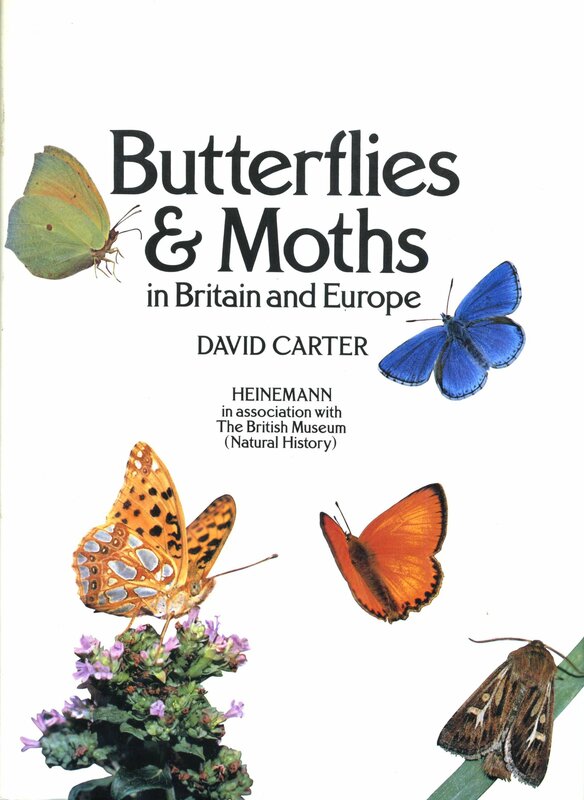 I like all the lepidoptera, but the butterflies in this book seem drab and uninspiring set against the moths, which are astonishing creatures visually, behaviourally and evolutionarily. Butterflies receive much more attention and they aren’t often presented beside their smaller relatives as they are here. In the tropics, they would meet the challenge better. In northern Europe, they’re second-best. Northern moths come in a huge variety of gorgeous patterns and shapes, but their beauty and interest suffer more when they’re dead and pinned in an entomological cabinet. Comparing the dead specimens with the photographs from life, you can see that there’s an elegant self-sufficiency about a moth at rest. Many of them look like crosses between priests and dandies wearing richly embroidered cloaks, sometimes trimmed with fur, and either drawn close to the body or stretched wide in deltas and vees. Even their antennæ could be ritual hats and tiaras. But it’s hard to generalize about such a vast collection of genera and species and some moths look like clowns instead: the scarlet-and-black or yellow-and-black arctiids, whose colors warn predators off. Other moths carry letters on their wings rather than in their postures: the wings of the silver y, or Autographa gamma, say something in both English and Greek, as its common and scientific names denote, but I can’t work out which “Hebrew character” the moth of that name is supposed to carry. Its scientific name, Orthosia gothica, isn’t any help. On the other hand, the Mother Shipton, or Callistege mi, really does seem to have two long-nosed, long-jawed crones looking at each other on left and right wings: Mother Shipton was a “famous Yorkshire witch”. This species reminds me of the contrast between the beauty of moths and their very ugly and alien larvæ and pupæ, some of which can also generate sounds to warn off predators. Aesthetically and intellectually moths are worth investigating, and this book is an excellent place to start. It’s not only well-designed, well-written, and with some very beautiful photographs, it has a separate food-plant index too, running from Abies, or “fir”, to Vitis, or “vine”. War accelerates technology. Aircraft entered the First World War in 1914 as little more than powered kites that fell apart easily, didn’t carry weapons and barely figured in military strategy. By 1918, they were fast-climbing, power-diving sharks of the air equipped with machine-guns and bomb-racks. They had also become central to military strategy. As this book describes, technology was also accelerated by the Second World War. But it happened most obviously on the German side. The Allies began and finished the war using propeller-driven aircraft. The Germans began with props and finished with something extra: jet aircraft like the Me-262 Schwalbe (Swallow) and rocket aircraft like the Me-163 Komet. The ingenuity and technological sophistication of these aircraft aren’t the only astonishing things about them. The odds against which they were developed and put into service are astonishing too. The Third Reich was being hammered by British and American bombers from the west and relentlessly ground down by the Red Army in the east. Fuel, parts and pilots were in ever-shorter supply. But both the Schwalbe and the Komet saw active service. Other aircraft described here, like the Bachem BA-394 Natter (Viper) and the Heinkel He-178 Volksjäger (People’s Fighter), didn’t get that far. An unofficial name of the He-178, the Salamander, is a clue to why. The Volksjäger was commissioned in late 1944 and by then the Reich was on fire. In legend salamanders are said to dwell in fire and flourish there. The He-178 didn’t flourish, but Terry C. Treadwell delivers this verdict: “Despite the dead ends and final defeat, Ernst Heinkel had made a major contribution to the world of jet- and rocket-propelled aircraft” (pg. 122). Treadwell seems to know his subject and navigates the complicated history of test-flights, modifications and specification changes with assurance. His introduction to the book begins in “A.D. 1232, during the Mongol siege of the city Kai-fung-fu”, which was where the “first recorded use of a rocket” took place. He discusses the development of rockets, then devotes the first chapter to the “Messerschmitt Me 163B ‘Komet’” (pp. 19-69). Even today the Komet seems like something out of science fiction: a bat-winged rocket-plane powered by highly dangerous chemicals – C-Stoff and T-Stoff – that would “ignite on contact with the skin” (pg. 41). That’s why the pilots and ground crew had to wear protective gear: a photo caption on pg. 48 describes “Leutnant Fritz Kelb wearing his asbestos flying suit climbing into the cockpit of his Me 163B”. It was a tight fit there, because the Komet was a tiny aircraft. And it was probably more dangerous to its own side than to the enemy. Test-pilots fractured their spines and lost their lives trying to correct its failings. Hanna Reitsch, the famous “Nazi aviatrix”, nearly died when she crash-landed a Komet in 1941, for example. Hitler and Göring sent flowers to her hospital bed and “critics of the Me 163 projects saw their chance of having the programme stopped” (pg. 38). However, another test-pilot for the Komet, Rudolf Opitz, “demonstrated the Me 163B with take-off dolly attached to the satisfaction of all concerned” and the programme continued. The Komet was still being flown as a glider at that stage. Adding an engine added more complications, more dangers and more delay. The “first operational sortie” wasn’t until 13 May 1944, when Hauptmann Wolfgang Späte tried to shoot down two P-47 Thunderbolts. But the Komet’s speed got in his way: he was chasing the Thunderbolts and about to fire when “the left wing suddenly heeled over and the whole aircraft began to shake violently” (pg. 52). Then the engine “flamed out”: Späte had “inadvertently touched the ‘Sound Barrier’, as it was later to be known”. That was in January 1945, when the Third Reich was close to final defeat. In February, the Luftwaffe High Command “ordered that production of the Me 163B cease”. As Treadwell notes, of the 364 Komets built, “only 70…ever saw combat”. Like its celestial namesake, the Komet blazed briefly and then faded to black. It was an astonishing aircraft built and flown in atrocious conditions and a worthy choice for chapter one. Chapter two is devoted to an even stranger aircraft: the Bachem Ba-349 Natter, a vertical take-off rocket-plane designed to fly, attack a bomber formation, then fall apart in mid-air and descend to earth on parachutes. The first manned test-flight killed the pilot, Oberleutnant Lothar Siebert, but the programme continued and ten Natters were eventually “assigned to an operational air defence site at Kircheim, east of Stuttgart” (pg. 82). The pilots waited more than a week to intercept a “heavy bomber formation”, but encountered an “American tank unit” instead. The Natters were destroyed “to prevent them falling into the hands of the Allies” (pp. 83-5). Three were nevertheless captured intact elsewhere, lasting proof, as Treadwell puts it, that “ingenuity could be born of desperation”. 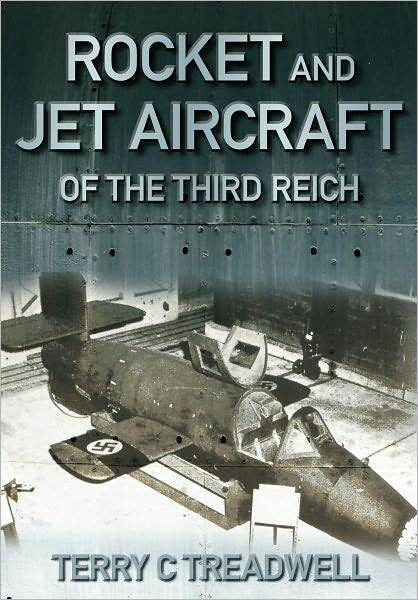 The remaining eight chapters of the book describe more ingenuity and more desperation: the near-suicidal Fieseler Fi 103R Reichenberg, a piloted version of the pulse-jet V1 Doodlebug; the Arado Ar-234, “regarded as the world’s first pure jet bomber”; the Junkers Ju-287, with its revolutionary swept-forward wings; and so on. The tenth and final chapter is about the most important aircraft of them all: the Messerschmitt Me-262 Schwalbe, the “twin-engined jet fighter” that might have altered the outcome of the war if it had been delivered sooner and in greater numbers. The Reich might have won or forced a truce, rather than being battered into unconditional surrender. But because the Me-262 is more important, it’s received much more attention from historians of military aviation and Treadwell is right to leave it till last. It’s the most attractive aircraft here too: Schwalbe, Swallow, is an appropriate name. Despite its deadliness – at least when its engines worked and its airframe held together – the Me-262 doesn’t seem to belong with the sinister, bat-like Me-163 and the stub-winged, embryo-like Ba-349. Those are alchemical aircraft, born of fire, blood and flesh-eating chemicals. They belong to the final days of the Third Reich and aeronautically speaking they’ve stayed there. Rocket aircraft never became routine and captured Me-262s were the great prize carried off at the end of the war by the Americans, Russians and British. So the strange and sinister come first, the significant comes last. That’s the way readers of this book will want it. 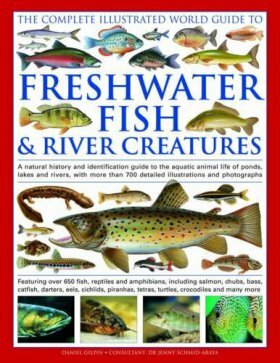 The prose here is functional rather than polished, but that suits the subject and there’s a well-judged balance of text and photos. Rocket and Jet Aircraft of the Third Reich is an excellent introduction to those aircraft, describing both highly advanced technology and age-old politicking, as the Luftwaffe and SS compete for control of aviation in a collapsing empire. Bombs fall, cities die, and bats rise out of hell in a way that is still fascinating and disturbing more than seventy years later. Metallica matter now because they mattered then. They were never the heaviest or fastest metal band in the world, but for a time they were the best. That time began with their first album, Kill ’Em All in 1983, and ended after their first EP, Garage Days Re-Revisited in 1987. They’ve written good songs since, but they’re no longer the best metal band in the world. That’s what I think, anyway. 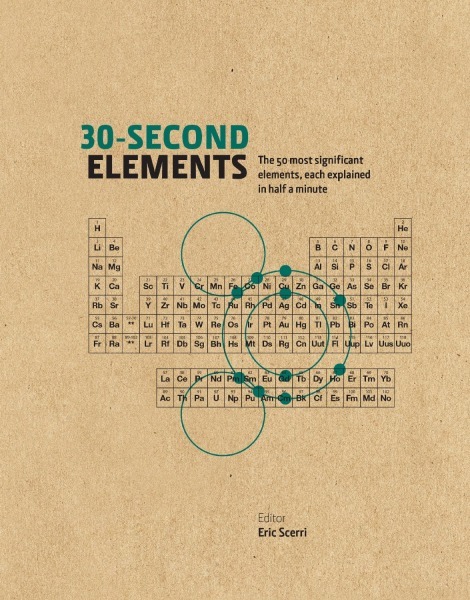 It’s also pretty much the verdict you’ll find in this book. Like Mick Wall in his Black Sabbath bio Symptom of the Universe, Joel McIver is an objective fan, not an obsessive sycophant. He calls it as he hears it. When he hears Masters of Puppets (1986), he concludes that Metallica “produced a monster: a record that would expand their fanbase, cement their place in metal and ensure their place in musical history” (ch. 12, “The Truth about Master of Puppets”, pg. 150). When he hears Load (1996), he concludes that it’s “a massive step down in songwriting and concept from any music, even the weakest, most cynically radio-friendly Black Album track that Metallica had done previously” (ch. 19, “1996-1997”, pg. 234). So maybe the bus crash in Sweden that killed Cliff Burton, the bassist on their early albums, also ended Metallica as a musical force. Burton’s death in 1986 is certainly one of the big “What might have been?” moments in popular music. What would have happened to Metallica’s music if he’d survived? I think it would have stayed better for longer. Burton was an interesting, independent-minded man who might have saved James Hetfield and Lars Ulrich from themselves. With his guidance, Metallica might not have gone the radio-friendly route and ended up playing with the Los Angeles Symphony Orchestra. But I don’t think Metallica would have bettered their early work. That would have been difficult. And success was undoubtedly a factor in their decline. So was getting older. Metallica mellowed and it showed in their music. Slayer prove that this isn’t inevitable and it’s good that Slayer are also part of this book. It’s valuable not just as a biography of Metallica but also as a history of heavy metal. Metallica were influenced by older bands, so McIver discusses Motörhead, Venom and Diamond Head. Metallica were part of a scene, so he discusses Exodus, Slayer and Testament. Metallica influenced younger bands, so he discusses Celtic Frost, Machine Head and many others. The results of metal’s mutations can sometimes be laughable, but the cartoonishness of metal can be part of its appeal too. One of the good things about Metallica is that they have a sense of humour and irony. The liner-notes for Garage Days – which was “Not Very Produced by Metallica” – are both funny and literate. The music on the EP is full of jokes too, but McIver correctly notes that it “boasted one of the best overall sounds they would ever achieve” (ch. 15, “1986-1988”, pg. 183). The good sound and high spirits are absent on their next album, …And Justice for All (1988). Metallica began to decline with Justice and I suppose I might have skipped the second half of the book. But McIver’s prose, though it isn’t polished, isn’t painful either and there are some interesting things to read about, like the law-suit against Napster and the long-lasting feud with Dave Mustaine. He might have left Metallica very early on, but he stayed true to one of their traditions: make your own decisions. Mustaine has gone his own way and so have Metallica. Good or bad, their choices have been their own. I think McIver does justice to all those choices and delivers what he promises: the truth about Metallica.